Hayling needs Haylink, a North-South Cycle Link separating cyclists from motorists and acting as a vital stepping stone for developing cycling routes around the rest of the Island. 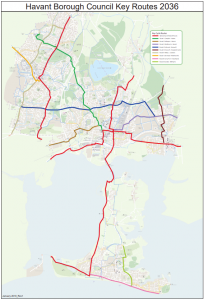 The links below explore the benefits and issues of a North-South off-road cycle link. 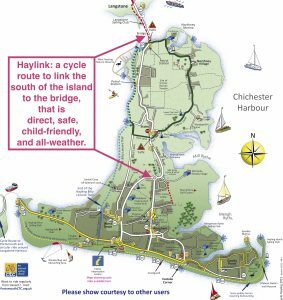 If you would like to know more, please contact Robert Sebley at robert@cyclehayling.org.uk or Wilf Forrow at Wilf@cyclehayling.org.uk. Segregating vulnerable road users from the rest means they are kept out of harm’s way. Motorists won’t be so frustrated by slow-moving traffic and will be less tempted to try dangerous overtaking manoeuvres. More residents and island visitors will use bicycles and traffic congestion, road noise and exhaust fumes pollution would all be reduced. The consequences of a collision between a cyclist and a vehicle can be extremely serious for the cyclist and traumatic for the motorist. Many cyclists are worried about cycling on the road, especially one with heavy traffic volumes such as the A2023, and so they resort – illegally – to cycling on the pavement. Some pedestrians are intimidated by pavement-cycling and some of their comments echo cyclists feelings about motorists. It is therefore important to do what we can to reduce pressures to cycle on pavements. 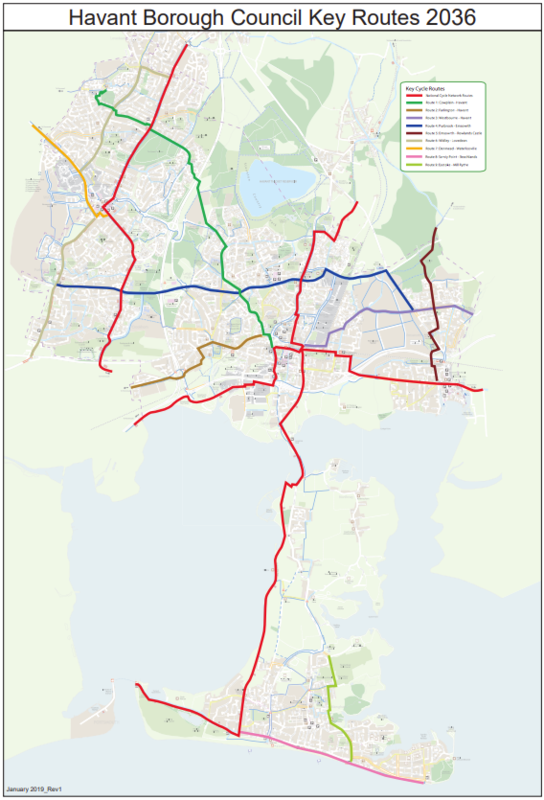 A North-South off-road cycle link would help a great deal. A better North-South cycle link would encourage more people to cycle to work. That will mean less cars on the road at busy times. That’s particularly welcome as new house building on the island increases pressure on the already busy North-South roads. Current Council policy is to restrict parking at work to encourage alternate means of travel, including cycling. As a result, there is a lot of parking in side streets around offices such as Langstone Technology Park and Penner Road. A North-South cycle route would encourage more people to cycle to work resulting in less side street parking. Where would the cycling route go? Widen and convert to dual use the pavements which run up the east side of the A3023 betweenYew Tree Road and Kings Road. 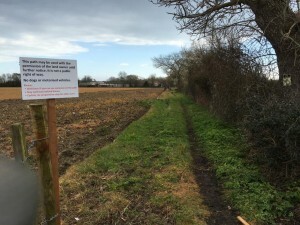 A private Registered Riders path has been created for horse riders which goes from the field entrance just north of the Mill Rythe Campus and ends at the Fleet Farm Camping and Caravan site off Yew Tree Road. 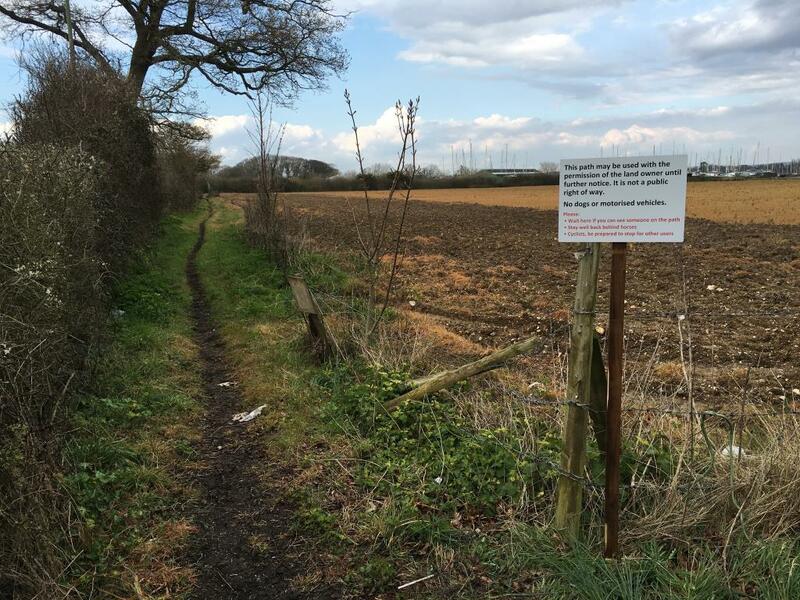 There is a possibility that the Registered Riders and landowners could be persuaded to have a durable surface installed to allow dual use. Wouldn’t it costs a lot? The conversion of footpaths to dual use is generally a much lower cost than road schemes. The reported cost, at £855K, of the recent (Autumn 2012) resurfacing the main road (A2023), when compared to around £100K for an equivalent length of cycle track illustrates the relative costs. Most cycling infrastructure is funded from developer contributions. It’s commonly said that cyclists don’t use the existing cycle lanes, so why should we build them? In fact, cyclists do use the cycle lanes but those that don’t are highly visible because of the effect they have on traffic. It’s unrealistic to expect all cyclists to use the cycle lanes – especially when there is no legal requirement – but a well-designed and constructed route will be popular with most types of cyclist. We accept that groups like ours should encourage all cyclists to use the available facilities. Both Havant and Hampshire councils have objectives to reduce road traffic by encouraging sustainable forms of travel – including cycling. Public health concerns (obesity) and carbon reduction targets are all part of the pressure on governments and local authorities to get the general public to adopt ‘Active Travel’ options. Compared to other road developments, cycle lanes are relatively inexpensive. Groups like Cycle Hayling can make a real difference when it comes to negotiating with landowners – removing a significant obstacle from the process. Park Lane Cycle track between Waterlooville and Leigh Park.